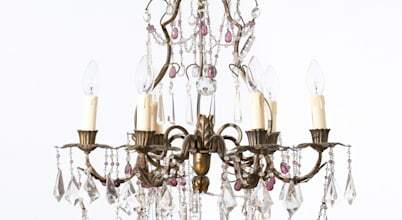 The Vintage Chandelier Company was founded after my husband and I struggled to ﬁnd the perfect vintage lighting pieces for our newly restored Victorian home. Despite a huge trend in vintage furnishings and lighting, we found that the pieces we were coming across were not complimentary enough to our contemporary home and often required a great deal of re-wiring and electrical work. 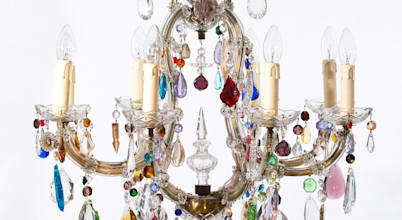 I discovered a niche in the market that needed to be ﬁlled and so the Vintage Chandelier Company was born. 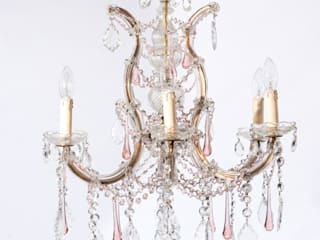 I now work with small private suppliers who re-work and customise the chandeliers to produce these beautifully unique and environmentally friendly pieces. 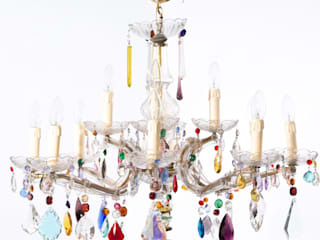 The Chandeliers all have a unique and up to date feel to them and can suit both traditional and modern homes. My passion for design has been incorporated into the business and The Vintage Chandelier Company is now also happy to provide an Interior Design Service. Please take a look at honeybeeinteriors.co.uk for full gallery and info. My Interior Design partner and I are available for consultations on both small and large projects from full home/business refurbishments to simply just ﬁnding the perfect chandelier or design a scheme for just one room. 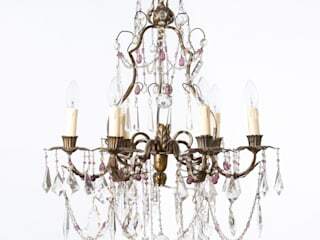 Based in Queens Park, I use my home as my showroom, keeping my overheads down and prices affordable regularly providing chandeliers at half the price as retail stores. When faced with a choice between flat pack and modern, or unique and vintage furniture, a large majority would choose the latter without hesitation. This is to do with two things: character and quality.